If you would like to learn just how much the professional end of tenancy service will cost, contact our 24/7 customer care. You are able to do this by simply calling 020 3404 0500 or by utilizing the online contact page form. Excellent Carpet Cleaning has more than a 10 years of experience with move out cleaning. We have checked and worked with many estate companies and landlords to generate a full end of tenancy cleaning checklist with all the possible cleaning duties that need to be completed just before the bond is given back. Our cleaners are qualified to carry out all security and quality procedures, complete all cleaning jobs on the register and use only the modern cleaning equipment, tools and safe cleaning options for the move in and out cleaning service. 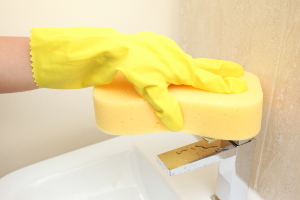 We offer tenancy cleaning to private and business customers in the entire West Drayton UB7. The customers are: tenants, property owners, organizations, people who are buying or selling a property among others. All of our services are fully insured, and the insurance coverage is included in the cost. Our knowledgeable and successful cleaning crew comes at your property with necessary machines, resources, solutions and some other equipment to clean it throughout. You must have relocated your belongings before the tenancy cleaning can be carried out. This service has no time limit. The crew helps keep cleaning until every single thing in the cleaning register has been carried out. Our post tenancy cleaning company offers you this service with a forty eight hours customer satisfaction assure. Your rental property manager or landlord will do an inspection of the property or home just before giving their bond back to you. To make certain you do not get your rent deposit withheld for cleaning rates, book our professional and quality guaranteed end of tenancy service now! Our 24 hours a day customer care service is here to take your telephone calls at 020 3404 0500 or your online booking requests from here. You will get composed confirmation within the next Two hrs. Our costs are fixed, so we will not ask for any sort of hidden charges at the final of the service. If you are not happy with the outcomes within forthy eight hrs, we will return and re-clean your property for free! By reserving more than one of our services at a time, you will receive huge price special discounts. We are accessible for same day cleaning, as well as for every other day of the 12 months. Ensure that you take benefit of our assured qualified tenancy cleaning by reservation our service now!